Denver weather has it all: snow, sleet, hail, and freezing rain. 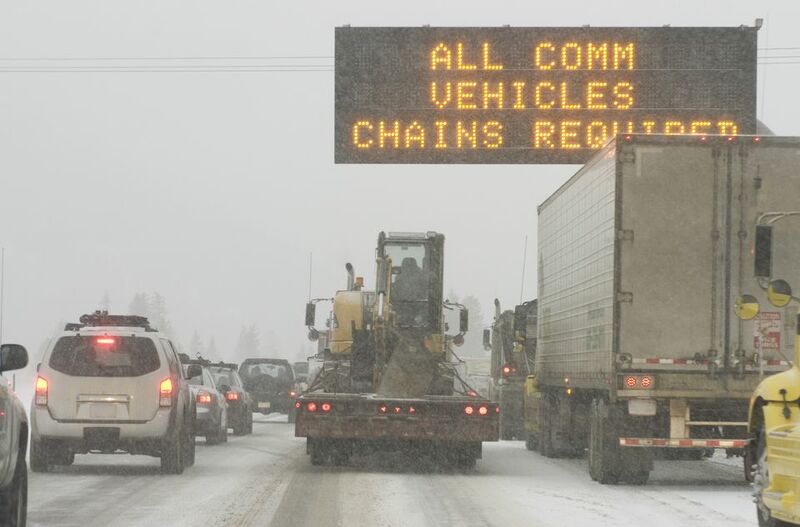 Road conditions can run the gamut from black ice to white-outs. Before heading out the door for your commute, check out the road conditions around the Denver metro area. Also, visit one of the city's webcams for a birds-eye view of driving conditions on major interstates. CDOT Road Conditions: A list of weather-related road conditions and road closures for Denver and the mountains. CDOT Road Speeds: A map with current approximate speeds (i.e. 60 mph) for major routes in Denver. Denver Channel Traffic: Channel 7 News offers live traffic updates around the clock for 24/7 information on road conditions. Traffic.com Updates for Denver: Sign up for alerts via email, text or phone when your routes become congested. The site also contains a "jam factor" rating of how jammed the routes are on a scale of 1 to 10. Denver International Airport (DIA): The official site for the airport gives information on airport traffic, but contact your flight carrier for specific flight information. According to the 2015 Urban Mobility Scorecard report, commuters in Denver spent 49 hours annually on traffic delays in 2014. However, commute times were not the worst in the country, with commuters in Washington, D.C., experiencing 82 hours of traffic delays per year. The report, produced by the INRIX and the Texas A&M Transportation Institute (TTI), also took a historical look at traffic for comparison. Traffic delays actually dropped in the previous decade, from 50 hours in 2004 in Denver. In 1994, delays totaled 29 hours in Denver, while delays were a brisk 22 hours in 1984. The report grouped Denver and Aurora together as one entity when compiling data.